Where people can count on each other to deliver results! and Accountability for Breakthrough Results! 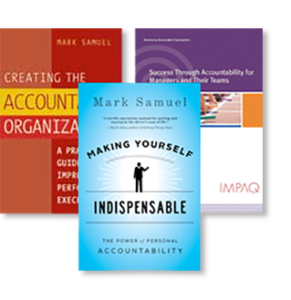 While some consulting organizations teach the skills of accountability, IMPAQ implements an Accountability Leadership System that is measurable and has been sustained as a leadership practice for as long as 15 years. The result is an environment where “people can count on each other” to achieve business results, improve a community and make the world a better place to live. 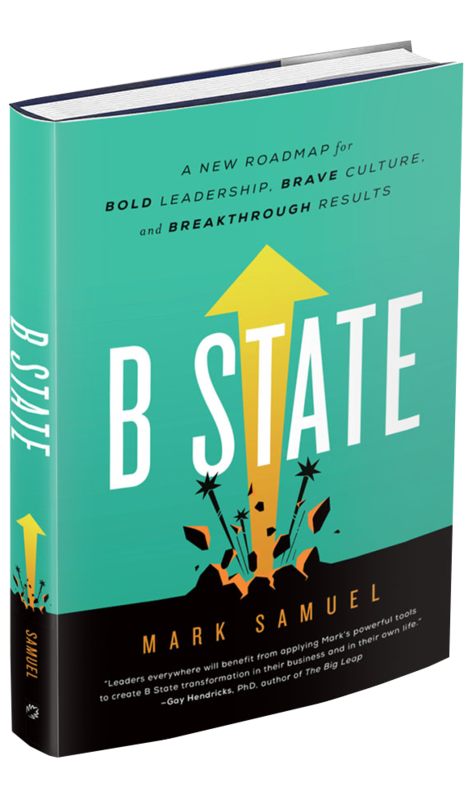 Ready to transform your leadership and organization to create BREAKTHROUGH results? B STATE available for order now! While typical team building programs (ropes courses, games, styles inventories and the like) are great for building awareness and improving relationships in the short term, our Team Transformation process involves changing mindsets and habits of behavior that demonstrate and sustain new levels of trust, execution and achieve measurable business results. It’s one thing to provide executives and managers with fundamental management skills to manage their respective functional areas. And, it’s a completely different outcome when managers are transformed into being “business leaders” where their dedication and ability is contributing to the improvement of the business as a whole. Rapid Culture Change for Urgent Business Transformation is a specialized change management process that quickly transforms senior and middle management teams to effectively change “collective behaviors” (habits) that are aimed at effectively implementing transformational business results. Exceeding your business goals while developing a culture that will sustain those results is what we live for. And, achieving meaningful measurable business improvements within 6 months is what we are known for. Impressive results within 6 months! Get your FREE audio "Optimizing Corporate Culture"